Maybach may be dead, but its spirit will live on as a range-topping S-Class variant that's reportedly set to debut at the LA Auto Show. And Mercedes' head of global design says it's got the swagger to take on Bentley and Roll-Royce. Speaking with Car and Driver, Gordon Wagener described the S-Class Maybach rolling "haute couture" and said it will come in around 5.5 meters, slotting in size right between the elongated S550 and ye old Maybach 57. Twin-turbocharged V12 power and rear-wheel-drive is almost assured, along with all the opulent options you'd expect in a range-topping Benz. High-end materials, acres of meticulously crafted leather, Magic Ride Control suspension, and at least one fully recalling seat, all topped with a smattering of Maybach badges to remind owners they're simply more special than the S65 driver next door. 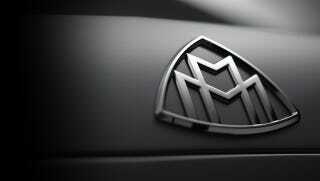 Wagener is equating the ultra-lux Maybach line as something similar to the AMG sub-brand, so it wouldn't be hard to imagine other top-spec models getting the Maybach treatment, say, a kitted-out GL to take on the forthcoming SUVs from Bentley and Rolls.